The Baraat, only the word itself takes fun lovers to different world, an Indian baraat has that element which can get anyone super-excited. No one wants to miss the fun at baraat. The specialty of Indian wedding is its Baraat, full of masti, fun, dance, colors, band, music and what not for that matter. And the best part of hailing from the groom’s family is “dance in the baraat ”. Nothing can ever beat that performance people present at the baraat. The typical Indian baraat is one of the high points of the wedding. Amidst all the fun, dance, band, music, friends, family there is a Groom, most important part of the part of the Baraat, excited to marry his love, to say.. yes I do! Well, baraat entry has always been a center of attraction since its origin; even passers-by do not miss to watch the baraat. There is a lot to a baraat, only a baraati can understand that. 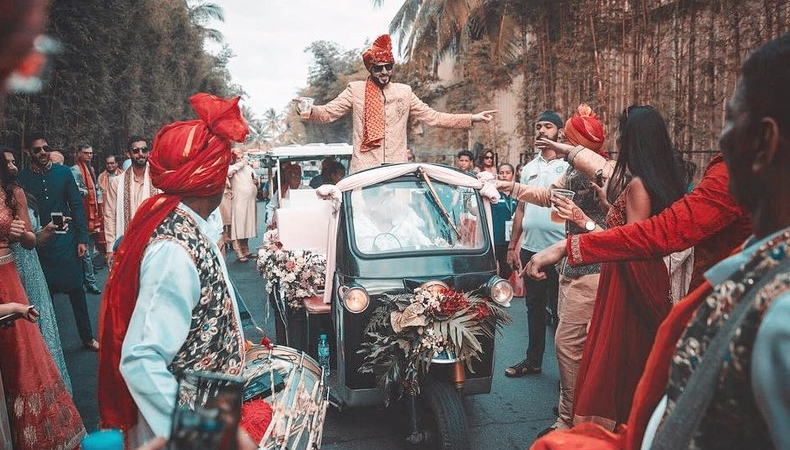 Gone are the days when only few things like entry in ghodi or in car along with the band, could be done to make a power-pack entry of a baraat. Now is the time when you can be super-creative to make a Dhamakedaar, Shaandaar, Jaandaar entry of baraat. Spice up your baraat entry to make it super –fun for your baraatis and for making your big day an unforgettable event. 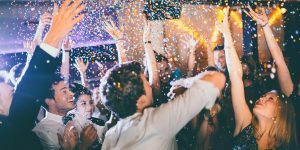 If you are getting wed-locked and looking forward to make a jazzy entry on your wedding, then read the article full and know how you can make a fantabulous entry to the wedding venue and stun your bride and other guests with your super-cool entry. 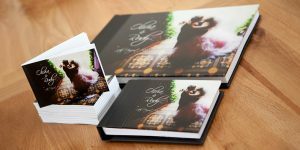 Even your wedding photographs will tell a jazzy story of your entry on your wedding! Make it memorable…. How you ask? #1 The Traditional Entry On A Horseback! Making an entry on horseback is very old but never an old fashioned entry. Grooms still love to ride on a horse to their wedding venue along with other baratis dancing merrily to marry his love. In fact, it is every girl’s dream that her Prince Charming comes riding in on a horse. A beautifully decorated ghodi still adds to the jazz…. Go riding! Well, if you want to add swag to your baraat then you all (The Boys Gang) can make an entry on ghodis, each one riding on ghodi, just like an ancient king going with his troop. Adding an ancient touch to the overall entry of the baraat and making it unique and ultra-cool. The entire groom gang comes riding on horses will be carved in the viewers’ minds forever! #3 Victorian Horse Cart Entry! Enter in a classic style in a horse-drawn carriage, making the entry more vintage, a great stuff for making memorable pictures! Making an entry in a royal chariot, will seriously make it look majestic and grandiose, a picture-perfect entry. Your photographs will say it all to those who missed to be the part of your big day! #5 Entry In A Luxury Car! Car lovers will not think twice about it, their love for car will make it easy for them to go for it. Making an entry in an open luxury car will say it all! #6 Going Vintage & Classy! Nothing beats entering into your new life with an unforgettable ride in an old world Rolls Royce, giving the whole set a classy look with your entry. Undoubtedly, yours will be a ‘talk of the town’ entry for sure. #7 Entry on an Elephant! When we think of old-world charm the first thing comes in mind is Huge Elephant, nothing can beat the entry in a Maharaja style at your wedding venue, bedecked in wedding finery and a Mahawat leading the way. Ditch the ghodi, make it a royal one, and enter riding on an elephant to marry your love. Make it look royal, a grand entry on a grand elephant. #8 How About The Boys Gang Going Royal? The idea is to give your baraat a similar touch of royalty as your wedding theme, arrange elephants for your gang and royal, nothing can beat this royal entry on elephant. Entry of the Grandest Baraat Ever! If it’s a beachy wedding then nothing could better than sailing on, Groom’s grand entry on a beautiful boat or yacht will give the entire entry a unique motion. Give a shore some shor with your wedding bang! #10 Make It An Auto-Matic Entry! Well, it may sound bizarre but nothing could be as funky as this style of entry. Until now you have only used these autos for transportation, now is the time to go unique, go funky… If you think you are a funky guy to be a groom, go for a decorated with frills and flowers auto rickshaw for making an entry to the wedding venue, make some noise along with other boys! #11 With The Comrades To Show-off The Camaraderie! Yeah! Absolutely boys only entry with matching headdress ‘safa’ and few common dramatic moves and tread in, like the army you are and display the camaraderie with zeal! All boy gang wearing aviator and few wonderful moves, and then walk in the venue, make it a grand and loaded with fun entry. Though it is an old style, but the charm it bears is still the same. No Indian wedding go without fireworks, even in some part of India baraat without fireworks seems incomplete. Go loud, make some noise! In India every region has its unique dhol tune, if you don’t want to go in the same style as your friend has gone for their wedding. Make an entry with the dhol, get dhol players, make all the baraatis learn few simple moves and make the entry simple yet grand in its own way. #15 Let Your Squad Carry You! If you are from sports background then this is for you absolutely, you’re the star of the event today, let your team (boys squad, your besties) carry you in to the field this time too, like they did the last time when you got three wickets in one over. #16 Entry In A Jeep! Begin your journey of new life by making an entry in a jeep. Entering in the beast decorated with the frills and florals. Best choice of entry style for the one who is keen to impress his woman with extreme manly entry. #17 Entry On A Bike! #18 Entry On A Bicycle! Sounds Weird? Being a bicycler is a matter of great pride, if you are the one then go cycling in your wedding finery. Take a break from all the styles, go your style, will suit you for sure, get some knockout pictures! Enter amidst rain of petals and flowers, it will not only bring color but also look like a Godly entry to the venue. You must have seen old epics; your entry will be an epic entry and a huge delight to the eyes of the viewers. That old vespa of your father will take your entry to the next level. People of all age will love it. Make an old world charm enter the venue in your style, Ride on! #21 Vroom With Royal Enfield! You own a Royal Enfield then you need nothing else to make your entry royal.. Vroom it! Groom entering the venue is not very new now but not too old to make it happen this time also. There is nothing wrong in displaying your love for Royal Enfield to the world even in your wedding too by making your grand entry on it. #22 Dazzle With Props Matching With Your Theme! Want to use a fun element to your entry, use jazzy props like masks, balloons (same color, matching the wedding theme), sparklers, feather boas, CO2 blasters, funny eye disguise glasses, etc. to make an entry playful and absolute fun. #23 How About Having Same Headdress! Another way to make your entry a grandiose is by coordinating your looks; the entire baraat wearing same colored combination headdress or safas or headgear, each one wearing the matching headgear will add that edge to the whole baraat, even the bride will love this coordination, and the pictures will be perfect to showcase to the people later. #24 Making An Entry Through The Air! You must have seen this movie ’dil hai ki manta nahi’ starring Pooja Bhatt and Aamir Khan, same ways you have to land in a helicopter to make it a grand entry from the sky itself. It will add to your wedding photographs for sure! Go high on the sky before you make an entry and add a little sho sha baazi to your wedding entry! For more fun element have some professional dancers and artists to add a jazz to your baraat entry. It will look cool when these professional dancers and artists will perform various acts in your baraat while reveling with you baraatis. Get, Set, and Go with professionals making it captivating and enchanting to the viewers!! If you want to add to your style statement a special touch, then another way to make an entry to the venue is using a customized golf cart on your wedding. All you need is to get the golf cart decorate with frills and frails to add a fun touch! A Punjabi wedding and the grand entry of Groom on the tractor will add to the ‘TASHAN’ of the munda who will come to marry his kudi. Even his kudi will love the great grand entry of her man. Go on tractor, give it a regional touch of Punjab! Well, tractors are used in many other states of India and making your baraat entry with tractor will spice it up with local touch! You will love it later. #28 Entry On A Rickshaw Decked With All Your Favorite Flowers! Who hasn’t see seen these brightly decorated rickshaws, these days very much used for pre-wedding shoot or on special occasions you can also see them on some mall. You can also use similar rikshaw decked with loads of flowers of your favorite color to make an entry to the wedding venue. No wonders guests will love your entry idea for sure. Try it out!! #29 Decorate Your Vehicle With The Sign Board! Another way to make a grand entry to the venue is put up a sign board on the vehicle just at the front like saying “ DIlwale Dulhaniya Le Jayenge,”“ Tenu Leke Main Jawanga,” “ Here Comes The Groom,” or may be something funny, or a big moustache on the vehicle, there is a lot you can do to make your entry grand and funny. Give your entry a glamorous touch by making it on an ATV with your baratis. You entry will be fantastic, even viewers will love the way you will make it all. Make a huge bang, Get Going!! These are just 30 most inspiring baraat entry ideas to make your entry grand, special and fantabulous. 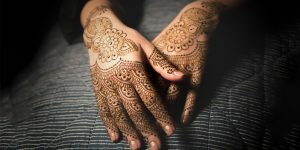 These are the ideas which will not only add fun to your entry but also break the boring routine of walking in to your venue with your baraat just normally. Enter your venue with some swag and Tashan make a difference by making an awesome entry. Also, these are just few tried and tested ideas, you can customize your own entry based on your style and liking. The whole idea is to spice up the entry of whole baraat, giving it a unique touch, newness and freshness. 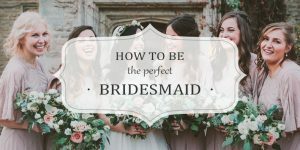 For example if you are not able to find the best idea for making your entry grand you can always swipe through images online or can ask your friend who just got married if not that is sufficient for you than you can also hire a wedding planner. A wedding planner is always equipped with huge ideas to make your wedding the most memorable one. Go ahead then, spice your entry a bit… ditch all the old methods of walking in the venue on tow, doing this will add a different touch to your wedding but also your wedding photographs will speak of your great grand entry later when you will flip through those pictures you will admire yourself for making that king like entry, or the classy one, maybe the vintage style that you liked for making the entry fun and comfortable. More often than not, people finds it tiresome job to go for some out of the box idea maybe due to the time constraint or whatever the reason be. But believe you me, your wedding is once in a lifetime event, do not just compromise on something which is ordinary, go extra ordinary at least on your wedding. You are going to miss all the fun later for sure. Nothing, you will regret if you do something different in your lifetime, in fact it gives you a special sense of achievement which brings happiness. 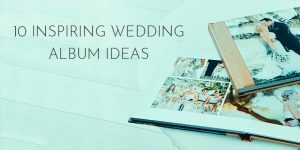 You know the best thing of getting married now is you are swamped with loads of ideas, just ask for one and you will get thousands of them to try out. Nothing is distant dream today, due to availability of all the sources and resources.